Positioning our monitors right so they are comfortable to use isn’t easy. And if you have one or more simply placed on your desk top it is neigh on impossible. 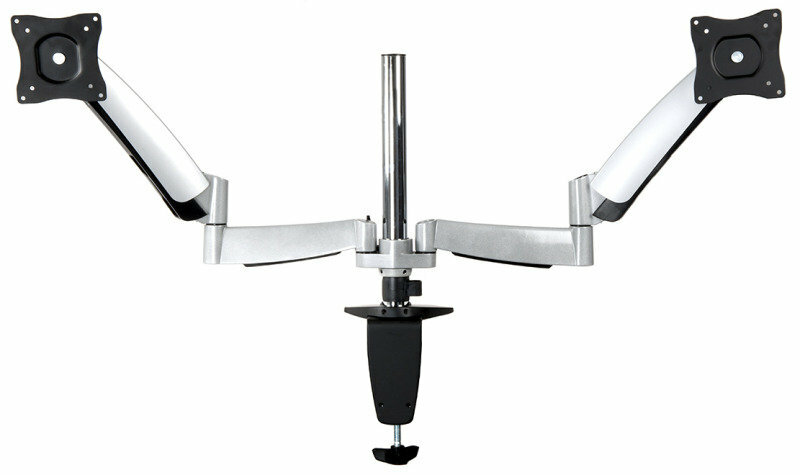 Happily though we can solve the conundrum with the help of this Xenta double monitor mount. Being able to accommodate two monitors this mount can help to improvement productivity and creativity. 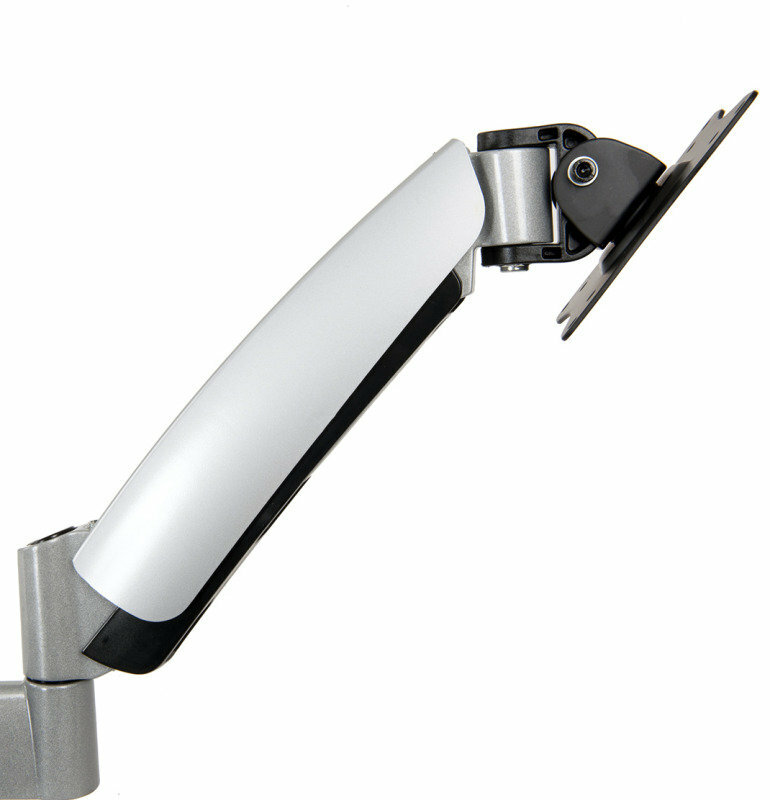 Each arm can support a monitor of between 13″ and 27″ that weighs up to 9kg. The mount is suitable for use with many different displays as it is compatible with VESA pattern 75 x 75, 100 x 100. Once mounted each monitor can be positioned independently of the other. 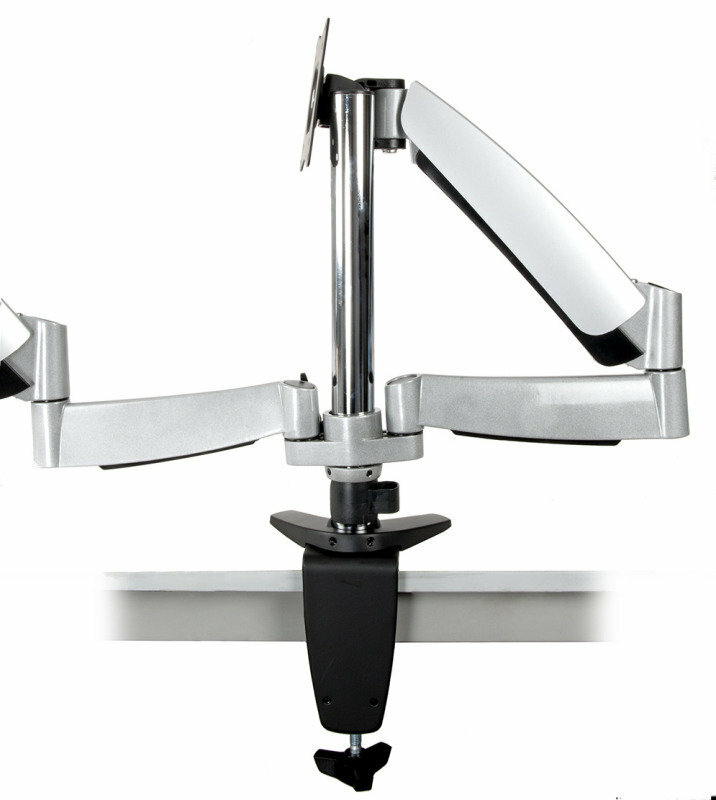 The positioning is completely adjustable with height, swivel and tilt functions providing complete flexibility. 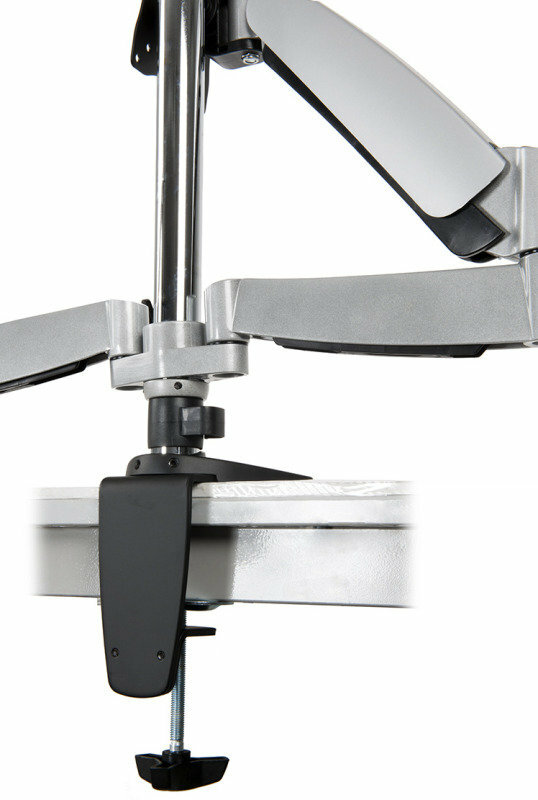 To add to the flexibility, once fixed into place, the monitor can be rotated through 360°. The mount can be easily clamped to the desk or secured via the cord tidy point that is found in the corners of many desks. Whichever method of securing the mount you choose fitting everything together is straightforward and won’t take more than a few minutes.